“But you can’t write!” exclaims Joe. “That’s alright. My girl can’t read!” Ba-dum-dum. 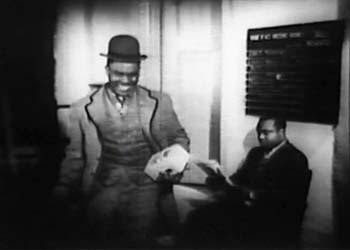 In the hands of someone with a comedic gift like Mantan Moreland, these unfunny lines might’ve been moderately entertaining, but Lollypop not an actor, much less a comedian. (Granted, his over-the-top reactions are hilarious for all the wrong reasons.) 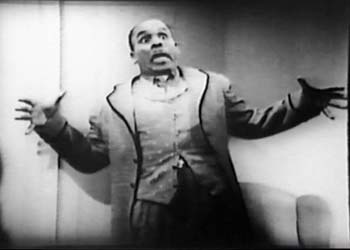 Much better is his singing, which he showcases in a blues song entitled “Don’t You Sell My Monkey,” which should’ve been called “Double Entendre Blues”. 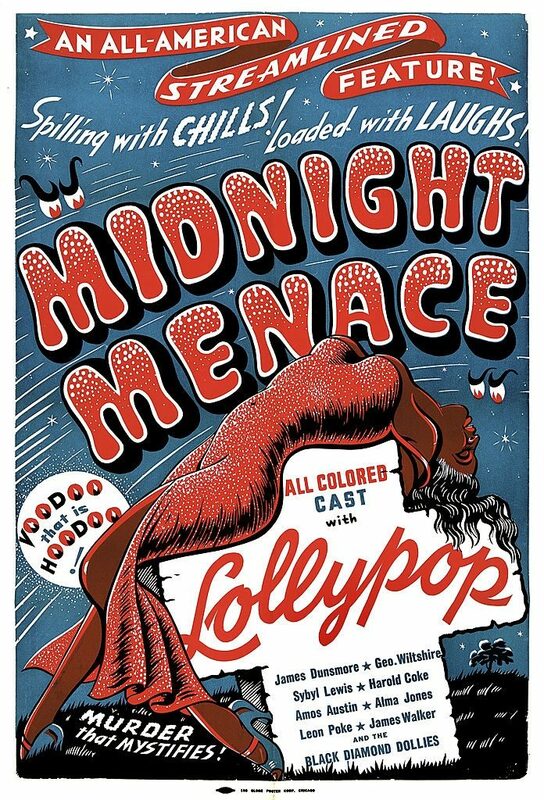 The applause from Lollypop’s performance jolts the woman out of her voodoo spell, and she’s so thankful that she proclaims, “You’re my hero! I’m yours!” and throws herself at him. Lollypop, for some reason (Gay? Impotent? ), exclaims, “No, I ain’t!” and goes running off. The woman chases him around the building for a few minutes, and he gets rid of her by pushing her down a laundry chute!!! Who says chivalry is dead? The Amy Winehouse concert ended as expected. Joe was finally able to afford that Kleenex box he always wanted.